This chapter examines the evidence on the association between time to treatment and perforation rates. Time to treatment is divided into two components; patient time, which is the time from symptom onset to presentation to healthcare system and system time which includes time delays between presentation and definitive treatment. While patient time is associated with increased perforation rates and worse outcomes, poor effects of system delays are less consistently shown, likely because total time duration between symptom onset and treatment is not taken into account, timing has not been accurately documented, and possibly due to different disease processes for perforated and non-perforated appendicitis. 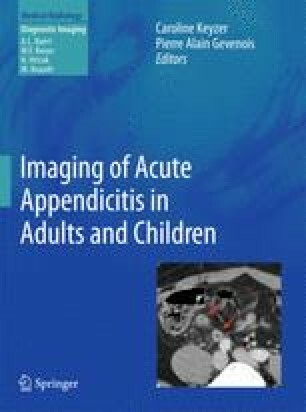 The impact of increased use of CT for the diagnosis of appendicitis on delay and perforation rates is discussed.